There are many great and understated quotes from British history. “Dr. Livingstone, I presume?” is known around the world. Which child in the UK at least doesn’t smile at the supposed last words of King George and the famous “Bugger Bognor”. There is Captain Lawrence Oates with his amazing act of self-sacrifice on the Scott Expedition to Antartica who left his friends in the tent with the “I am going outside and I may be some time”. There are a wealth of understated military quotes too that I’ve always liked not least the exchange in the midst of battle between Lord Uxbridge “By God Sir, I’ve lost my leg” and the Duke of Wellington “By God Sir, so you have”. Few though can quite surpass the incredible understated words uttered by the Assistant Surgeon, William Brydon, during the First Anglo-Afghan War in what turned out to be the greatest British military humiliation of the 19th Century. The Army of the Indus, comprising 20,000 soldiers and twice that number of camp followers, had set off in the spring of 1839 to fight in the First Afghan War – resulting from growing British unease at the growth of Russian influence in the region. It was feared that Dost Mohammad Khan, Amir of Afghanistan, might ally himself with the Tsar – so Lord Auckland, the British Governor-General in Calcutta, decided to replace him with a previous ruler who had been deposed, Shah Shuja. In fact, unknown to Auckland, relations between Dost Mohammad and the Russians had already broken down before the invasion began. But it went ahead and by August the British had occupied Kabul. Shah Shuja was reinstated and Dost Mohammad was sent into exile in India. But thereafter the British, like everyone who has invaded Afghanistan from Alexander the Great to the US, soon discovered it is easier to take than to hold, and were soon caught up in what became the British Empire’s greatest military disaster of the 19th century. The story of how an entire British Army was slaughtered is told in a new book by Scots writer and historian William Dalrymple, who faced dangers himself when he went to Afghanistan to retrace the route of the retreat. For two years following the invasion, the British had kept Shah Shuja in power in Kabul – but outside the city there was growing unrest. In late 1841, it turned into an open revolt led by Akbar Khan, a son of Dost Mohammad. Meanwhile, the senior British commanders in Kabul had lapsed into a deadly complacency. Major-General William Elphinstone, a Lowland Scot, had been appointed Commander-in-Chief but he had not seen active service since Waterloo and was suffering from severe gout. Sir Alexander Burnes (top) was cut to pieces by a mob while Dost Mohammad Khan (bottom) ruled Afghanistan and incredibly died of natural causes something unheard of there. His chief political adviser was Sir William Hay Macnaghten, an Ulster Scot and former judge who had been instrumental in persuading the East India Company to back Shah Shuja. 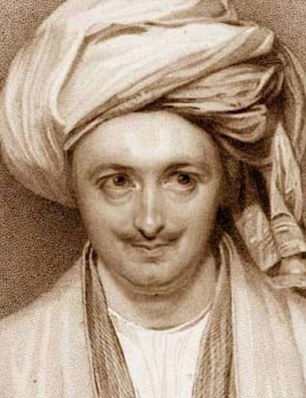 His deputy, Sir Alexander Burnes of Montrose, a distant relative of the poet Robert Burns, advised backing Dost Mohammad – but had been ignored. In November 1841, a mob attacked Burnes’s house and, as he attempted to flee, he was cut to pieces. Yet Elphinstone failed to respond decisively to this atrocity and this apparent sign of weakness encouraged a rebellion. Macnaghten tried to save the situation by negotiating with the rebel Akbar Khan, but at a pre-arranged meeting on December 23, he was seized by Khan who put a pistol in his mouth and shot him dead. At this, the elderly and ineffective Elphinstone sank into despair and agreed to surrender Kabul in return for safe passage to Jalalabad for his men. Akbar Khan seemed to agree and, on the morning of January 6, 1842, the Retreat from Kabul began, with 4,500 British and native troops and 12,000 camp followers setting out for Jalalabad, 90 miles away. But almost from the start it became clear that Akbar Khan had no intention of keeping his word. By day, as the British trudged through deep snow in sub-zero temperatures, thousands of Afghan tribesmen on the high slopes poured a murderous fire into the retreating army. By night, an equally terrible enemy attacked the survivors. Most were frostbitten in their sleep, and many never woke up. By the sixth day of the retreat, there were only a few hundred left as they reached the Jagdalak Pass. There, on the night of January 12, they found their way barred by a 6ft prickly holly-oak barrier and came under heavy attack. Of the depleted force that had made it so far, only about 80 men made it over the barrier alive – including Brydon. He would recall: ‘The confusion was terrible. I was pulled off my horse and knocked down by a blow on the head from an Afghan knife, which must have killed me had I not placed a portion of Blackwood’s Magazine in my forage cap. As it was, a piece of bone was cut from my skull. A dying cavalryman told the badly wounded Brydon to take his pony and he rode off into the darkness alone, looking for other survivors. Most of them were from the 44th Foot – about 20 officers and 45 privates. By dawn, as they stood on top of the hill at Gandamak, they were surrounded.Massively outnumbered, they made their last stand. One by one, they were slaughtered, barring 15 cavalrymen who managed to reach Fattehabad – where they were ambushed and killed, 15 miles from their destination of Jalalabad, to which they had been promised safe passage. Miraculously, Brydon again managed to get clear, only to find ‘the shot had hit the poor pony and he could now hardly carry me. Then I saw five horsemen in red and, supposing they were some of our irregular cavalry, I made towards them. But they were Afghans. I tried to get away but my pony could hardly move. ‘One of them came after me and made a cut at me, guarding against which the bit of my sword fell from the hilt. ‘He passed me but turned and rode at me again. This time, just as he was striking, I threw the handle of the sword at his head, in swerving to avoid which he only cut me over the back of the left hand. Feeling it disabled, I stretched down the right to pick up the bridle. I suppose he thought it was for a pistol, for he turned and made off as quick as he could. ‘I felt for the pistol in my pocket, but it was gone. I was unarmed and on a poor animal I feared could not carry me to Jalalabad. 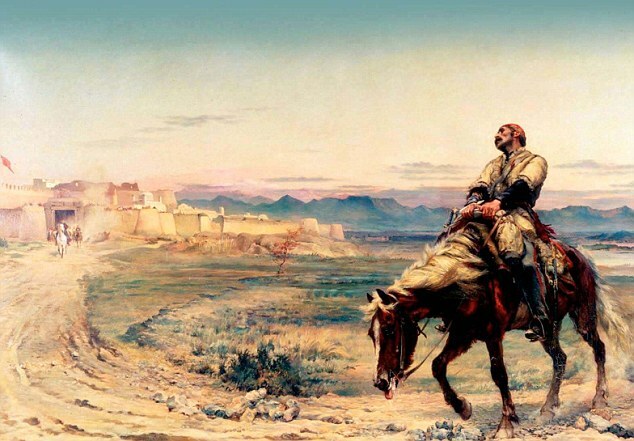 The iconic ‘Remnants of an Army’ by Elizabeth ButlerIt was a sharp-eyed young officer on the walls of Jalalabad who saw him first, slowly riding a bedraggled and exhausted pony across the barren plain at the foot of the high mountain passes of Afghanistan. Brydon would go on to see service in the Second Anglo-Burmese War of 1852. In 1857, he was a regimental doctor at Lucknow where, along with his wife and children, he survived the famous siege, albeit being badly wounded in the thigh. The following year, he was appointed a Companion of the Order of the Bath and would live for another 15 years in peacetime, eventually dying at home near Nigg, Ross-shire, in 1873. Meanwhile, within months of the massacre on the road to Jalalabad, Britain had sent an Army of Retribution into Afghanistan and inflicted a crushing defeat on Akbar Khan. Shah Shuja was assassinated but the British were determined to teach the Afghans a lesson and in September 1842 retook Kabul and razed the city – before withdrawing to India. 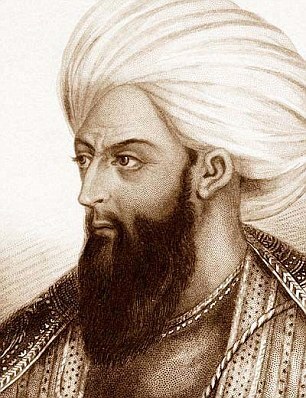 Dost Mohammad, released by the British, returned to Kabul and ruled there until his death in 1863. It was said that he was the first ruler of Afghanistan to die of natural causes in a thousand years. There were several similarities between the disastrous First Afghan War and the recent 21st century war in Afghanistan. President Hamid Karzai, another ruler with no real power base outside Kabul, comes from the same tribe as Shah Shuja, while the descendants of the tribesmen who destroyed a British army make up the footsoldiers of the Taliban. 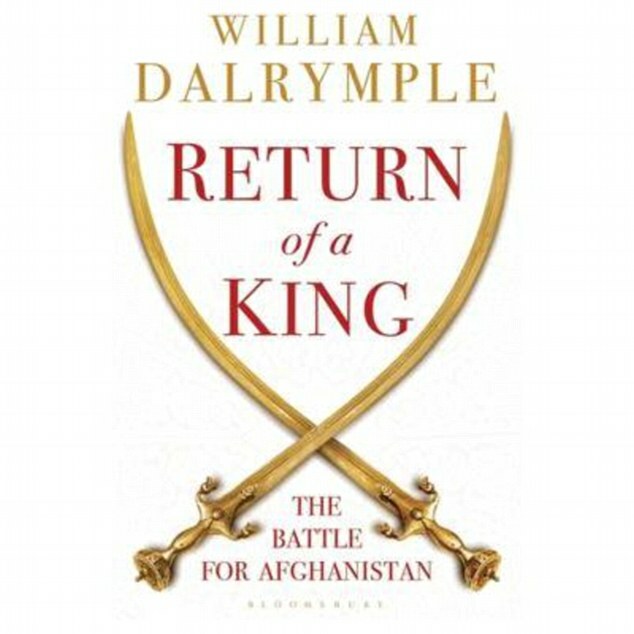 If you’d like to know more about the lead up to these events which are part of what was more broadly labelled The Great Game between Russia and Great Britain then I recommend the reading of Return Of A King by William Dalrymple. Whereas for a unique look at the recent war in Afghanistan through the eyes of the men who fought there then check out my book review of Diary Rooms – Being Human On The Front Line In Afghanistan by Derek Eland. To get an easy insight into something like what Afghanistan was like back at the times of the Retreat From Kabul then the classic movie The Man Who Would Be King is worth a watch. This entry was posted in history and tagged Afghanistan, Army, Assistant Surgeon, Great Game, I am the Army, Jalalabad, Kabul, Retreat From Kabul, The Man Who Would Be King, war, William Brydon. Bookmark the permalink. Thankyou Nancy. Yes it was a truly momentous event, doubly so that as a surgeon, he presumably wasn’t expecting to endure all of that. I think there is definitely something in the British and relatedly American spirit that has an innate sense of adventure, exploration and bravery. I’d never agree on conquering people today but a big bit of me would have liked to be a Victorian era explorer going off to chart the unknown…. I did my best with riding through the Sahara! I have a few more of these historical accounts I researched over Christmas so will post them soon. I wonder if it would be popular if I collated 50 or so of them at random and published them as a book in a kind of old fashioned ‘boys adventure’ style book. What do you think? Thank you for sharing this story of bravery and other bits of history. I always enjoy reading your blog and I save the links to refer back to. Thanks Colin, I’m really glad that you enjoy them. This tale must have been particularly difficult given they were crossing the Afghan mountains in mid-winter. Apparently many of the tracks were only 2 or 3 yards wide with cliffs thousands of feet high. Fighting your way through angry tribesmen in such conditions must have been something to behold. That must have been something… I hate to say it, but I’m surprised no one has made a movie about it yet. Me too. It would be the blockbuster of the year and fit in with other Victorian epics like Zulu or Khartoum but could be even better than both. Thank you for this article, it was a pleasure to read. More people need to know about this aspect of history. I’m glad you enjoyed it. Interestingly William Brydon has just shown up on the second season of Victoria if you ever get the chance to watch this British TV show. I wish they would make a movie about his escape.